PHP Developer Ukraine: Where to Look for One? Ukraine outsourcing is continually producing the most talented professionals in every aspect of the IT sector, including PHP development. Just to refresh your mind, PHP is an acronym that initially stood for Personal Home Page, but with recent updates, it is now a backronym that stands for Hypertext processor. So how does PHP function exactly? Well, the PHP code itself is usually embedded onto an HTML code, or alternatively utilized in conjunction with a wide variety of web template systems and web frameworks; not to mention web content management systems. In fact, there have been over 25 million websites that have been developed using PHP scripting language! If you are intereted in hiring Java developers Ukraine, click on the link! As initially stated, the release of version 3 update changed its name to hypertext processor. And we can therefore clearly define PHP as a general purpose and flexible server scripting language that is used effectively to develop web applications, static websites, and dynamic websites too. In fact, the majority of the websites online are statistic websites. Usually, these websites have a basic look and are designed for small scale e-commerce businesses. Static websites are only updated by a PHP expert; that is one who has the knowledge and skills of IT development. They are generally cheap to create and host, and can be used by start-ups to get an effective web presence. On the other hand, dynamic websites are quite expensive to develop, however they bring numerous advantages. For starters, they give owners the freedom and ability to update previous content and add a new one if they so, please. Furthermore, they give users and clients the ability to upload and download documents, the ability of users to create their own unique accounts and last but not least, add or remove information. As one of the leading PHP development countries, we will discuss the best cities to find the most skilled PHP developers in Ukraine. Unlike Java developers, outsourcing PHP development can be quite difficult due to the varying disparity in both quality of experience and the salary costs. In fact, the salaries differ quite a lot depending on the city you are outsourcing from. Perhaps it is based on the level of experience. Though this is hard to tell because the level of experience is something you can’t benchmark really. All in all here is our top list of cities to search from. For a middle-level software developer, the average monthly salary is $1200 USD thereabout. A senior software engineer earns about $2500 averagely a month. The salary quotas for PHP developers in Kyiv is significantly higher than those of Lviv. Perhaps it is due to the fact that Kyiv is a more expensive city to live in. However, these prices are quite realistic and reasonable for an experienced PHP developer and web development Ukraine generally. A mid-level software engineer earns $1700 a month. A senior software engineer on average earns about $3000 a month. Kharkiv lies on the lower spectrum of cost just like Lviv. It’s a good place to source PHP developers if you’re on a tight budget too. Considered a haven holding the best PHP developers based on the praise heaped by international companies on their services. 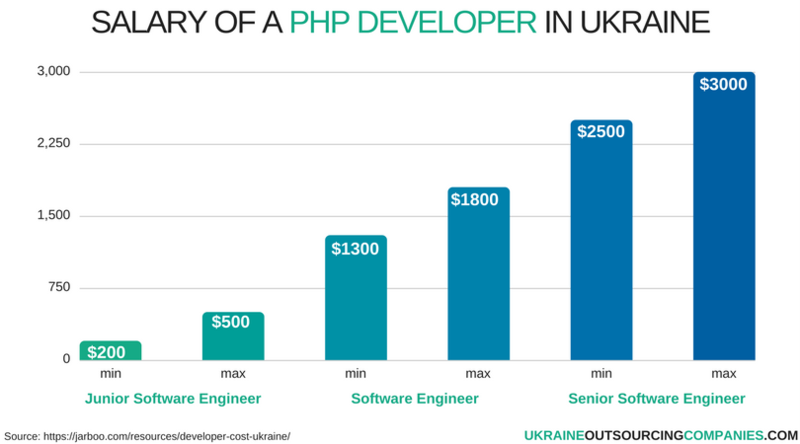 In fact, Odessa lies on the higher spectrum of salary to pay to PHP developers. Mid-level software engineer earns about $1700 a month. Senior software engineer earns about $3000+ a month. And on that note, we believe that the above-mentioned cities will offer you with the best skill-sets to develop the website you desire. 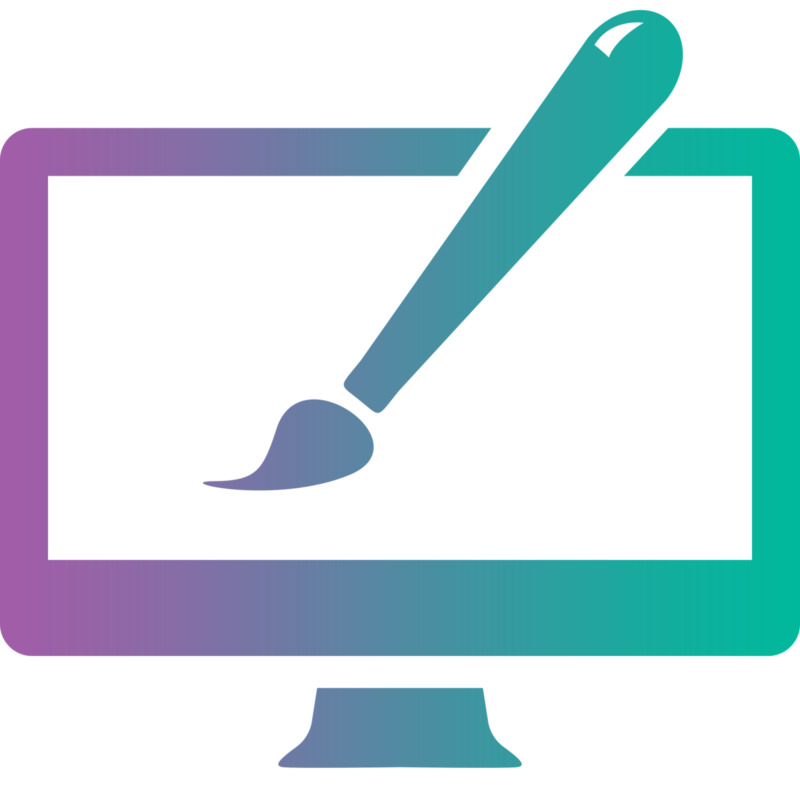 It doesn’t matter if it’s a dynamic or static website, you will receive high-quality work to meet your expectations. And ukraineoutsourcingrates.com will definitely guide you in the right steps to achieving those dreams. Hire the best PHP developer Ukraine with our website!